Mother’s Day comes every year in spring and there are various ways that you can celebrate it. You want to make you mother feel special, but how? Whatever you decide, do not forget to give her the gift of a beautiful bouquet of flowers along with it. Since birth your mother has sacrificed much for you, her child. It is only nice to make her feel as special as she is and thank her for this at least once a year. There are endless ideas apart from flowers to surprise your mother this year, but flowers make any gift better. 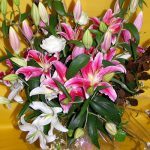 At Evergreen Florists we have been delivering the wonderful women of Galway Mother’s Day flowers for over thirty years. 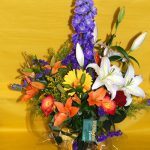 With all that experience under our belt, there should be little doubt in your mind that we will provide fresh and gorgeous flowers time. 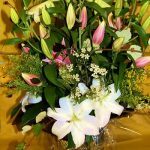 Evergreen Florists is a family-run business with a real flower shop that provides a flower delivery year round in the Galway area. Being a family business, we know how special mothers are and only provide the best quality flowers for the bigs day. 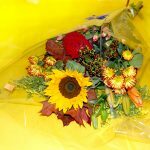 This Mother’s Day flower delivery service is available to anywhere in Galway. 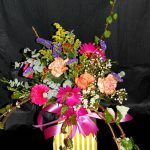 So why not order a few bouquets and have your flowers delivered to all the special mothers in your life! 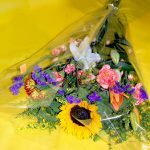 It comes every year during spring, right after the April showers, and there are various ways that you can celebrate it. They all involve flowers.